From PBS Home Video: No other film about WWII, fictional or non-fictional, captures the horror of the concentration camps as simply and powerfully as this. Spain: Day 8 of 985 of the Spanish Civil War. Spain: Day 373 of 985 of the Spanish Civil War. CBI - China: Day 18 of 2,987 of the 2nd Sino-Japanese War. Day 18 of 33 of the 2nd Battle of Hebei. Day 11 of 22 of the Battle of Tainjin-Beijing. Spain: Day 738 of 985 of the Spanish Civil War. The Republican troops launch an offensive across the River Elbo and advance 25 miles, then dig in for the expected Nationalist counter-attack. CBI - China: Day 383 of 2,987 of the 2nd Sino-Japanese War. Day 44 of 139 of the Battle of Wuhan. The Japanese 6th Division of the 11th Army Group attacks at Taihu County. CBI - China: Day 748 of 2,987 of the 2nd Sino-Japanese War. Day 41 of 68 of the Battle of Tianjin. CBI - Mongolia: Day 75 of 129 of the Battle of Khalkhin Gol, a border dispute between the Soviet Union and Japan. Atlantic: The neutral French liner MEKNES, taking 1,100 Vichy French sailors back to France, is sunk by the German torpedo boat S-27. ETO - UK: Day 15 of 114 of the Battle of Britain. The Luftwaffe attempts to bomb the Rolls Royce factory at Glasgow, Scotland, but hits nearby printing works instead. Other bombers attack the Thames estuary, sinking two ships off Dover. Meanwhile, a massive dogfight occurs over the Channel. ETO - France: The Red Cross estimates there are 5.5 million refugees in Vichy France. East Africa: Day 45 of 537 of Italy's East African campaign in the lands south of Egypt. CBI - China: Day 1,114 of 2,987 of the 2nd Sino-Japanese War. Day 253 of 381 of the Battle of South Guangxi. South America: Day 20 of 27 of the Ecuadorian-Peruvian War, a territorial dispute between Peru and Ecuador. Germany: The first Dutch POW officers (68 of them) arrive at the Colditz Castle POW camp. Russian Front - Finland: Day 26 of 142 of Operation SILVER FOX, a joint German-Finnish campaign to capture the Russian port of Murmansk in the Arctic. Russian Front - Finland: Day 24 of 140 of Operation ARCTIC FOX, a joint German-Finnish campaign against Soviet Northern Front defenses at Salla, Finland. Russian Front - Finland: Day 33 of 164 of the Battle of Hanko. Russian Front - Finland: Day 15 of 18 of Finland's reconquest of Ladoga, Karelia. The Finns continue their offensive on Lake Ladoga northeast of Leningrad. Russian Front: Day 33 of 167 of Germany's Operation BARBAROSSA, the invasion of the USSR. Russian Front - North: German and Soviet troops continue fighting near Lake Peipus outside Leningrad. Russian Front - Center: Day 19 of 31 of the 1st Battle of Smolensk, Russia. Russian Front - Center: Day 12 of 12 of the Battle of Zhlobin, Belarus. The Germans capture Zhlobin. Russian Front - Center: Day 1 of 38 of the Battle of Gomel, Belarus. Russian Front - South: Day 10 of 25 of the Battle of Uman, Ukraine. Russian Front - South: Day 23, Russia. German and Romanian troops capture Bessarabia, in which Romania was forced to cede to the USSR a year ago. MTO - Libya: Day 106 of 256 of the Siege of Tobruk. Middle East: The Free French, distrustful of British command of their troops in the Middle East, take back control of Syria and Lebanon. East Africa: Day 410 of 537 of Italy's East African campaign in the lands south of Egypt. CBI - China: Day 1,479 of 2,987 of the 2nd Sino-Japanese War. Russian Front - North: Day 320 of 872 of the Siege of Leningrad. Russian Front - North: Day 81 of 658 of the Siege of the Kholm Pocket. Russian Front - South: Day 27 of 27 of the Battle of Voronezh, Russia. With Voronezh secured by the Germans, their new orders are to proceed to Stalingrad. Russian Front - South: Day 27 of 150 of Germany's CASE BLUE, the failed offensive to take the Caucasus oil fields. Russian Front - South: Day 2 of 20 of Germany's Operation EDELWEISS. German Army Group A heads off toward the Caucasus and Kuban region. MTO - Egypt: Day 24 of 27 of the 1st Battle of El Alamein. MTO - Libya: US B-17s night bomb the Tobruk harbor. During the day, B-24s hit the harbor at Bengasi. East Africa: Day 81 of 186 of the Battle of Madagascar. CBI - China: Day 1,844 of 2,987 of the 2nd Sino-Japanese War. Day 71 of 124 of Japan's Zhejiang-Jiangxi Campaign, launched to punish anyone suspected of aiding the Doolittle raiders in China. Roughly 250,000 Chinese will be killed. PTO - Alaska: Day 48 of 435 of the Battle of Kiska, Aleutian Islands. PTO - Malaya: Day 156 of 357 of the Battle of Timor Island. PTO - New Guinea: Day 4 of 119 of the Battle of the Kokoda Track. 5th Air Force provides air support. ETO - Norway: US 8th Air Force B-17s bomb targets at Heroya, Trondheim and Bergen. 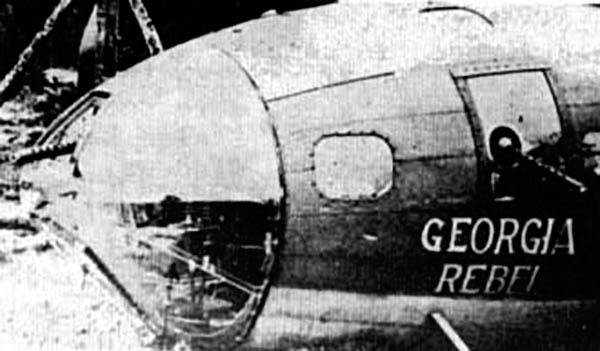 The GEORGIA REBEL, one of the crippled B-17 Flying Fortresses, lands in neutral Sweden, becoming the first American warplane of some 162 US aircraft that will be interned there during the war. Sweden managed to maintain its official neutrality throughout the war by tap-dancing its way around Nazi Germany's demands. The Swedish Government made a few concessions, and sometimes breached the nation's neutrality in favor of both Germany and the Western Allies. Sweden shared military intelligence with the Allies and helped to train soldiers made up of refugees from Denmark and Norway to be used in the liberation of their home countries. Sweden also became a refuge for anti-fascist and Jewish refugees from all over the region. In 1943, following an order to deport all of Denmark's Jewish population to concentration camps, nearly all of Denmark's 8,000 Jews were brought to safety in Sweden. As the threat of German intervention diminished, a secret project called Operation SONNIE began to covertly smuggle Allied internees in Sweden back to England with planes disguised as commercial airliners. The returned men weren't allowed to continue fighting in the European theater for fear the Nazis would execute them as spies should ever they get caught. Some of the former internees became instructors while others were re-assigned to fight the Pacific theater. ETO - Germany: British launch Operation GOMORRAH as the RAF heavily bombs Hamburg, killing many citizens. The fires created are seen 200 miles away. This mission makes the first use of WINDOW, foil strips thrown out the window to jam German radar. Germany: Polish political prisoner Heinz Radomski is executed in the washroom of Block 11 at the Auschwitz concentration camp. Russian Front - North: Day 685 of 872 of the Siege of Leningrad. Russian Front - North: Day 446 of 658 of the Siege of the Kholm Pocket. Russian Front - Center: Day 20 of 50 of the Battle of Kursk, Russia. Russian Front - Center: Day 13 of 38 of the Battle of Orel, Russia. Russian Front - South: Day 2 of 23 of the Battle of Belgorod, Russia. Russian Front - South: Day 12 of 48 of the USSR's Lvov-Sandomierz Offensive. MTO - Italy: A 10-hour meeting of the Fascist Grand Council passes a motion, 19 votes to 7, asking that the King of Italy take over command of all Italian forces from Mussolini. Immediately after, the King orders Mussolini's arrest. MTO - Italy: Day 16 of 40 of the Battle of Sicily. RAF and US Air Forces provide air support. US troops capture Cefalu, Castelbuono and Gangi in the western part of the island. CBI - China: Day 2,209 of 2,987 of the 2nd Sino-Japanese War. PTO - Alaska: Day 413 of 435 of the Battle of Kiska, Aleutian Islands. US 11th Air Force P-40s, some flown by Canadian pilots, attack Kiska Island. PTO - Marshall Islands: US 7th Air Force bombs targets on Wake Island. PTO - New Guinea: Day 94 of 148 of the 2nd Battle of Lae-Salamaua. US 5th and 13th Air Forces provide air support. PTO - Solomon Islands: Day 35 of 67 of the Battle of New Georgia. US 5th and 13th Air Forces provide air support. Russian Front - Center: Soviet troops pour into Lublin, eastern Poland, and liberate the first Nazi concentration and extermination camp at Majdanek on the outskirts of the city, finding ample evidence of the mass murders that occurred there, which will be widely publicized. 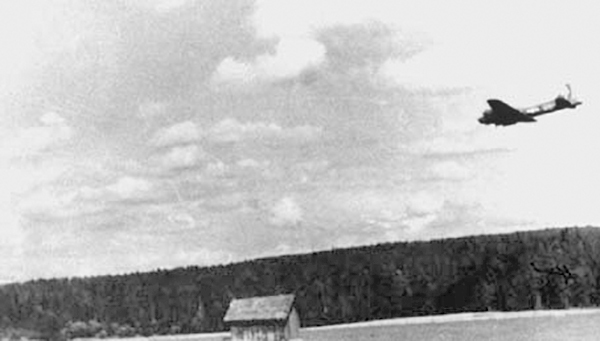 The camp was operated from 01 Oct 41 until 22 Jul 44 and was captured nearly intact, because the rapid advance of the Soviet Red Army prevented the SS from destroying most of its infrastructure. Plus, the camp commandant had failed in his task of removing incriminating evidence of war crimes, making Majdanek the best preserved Nazi concentration camp of the Holocaust. The staff had only succeeded in partially destroying the crematoria before Soviet Red Army troops arrived. 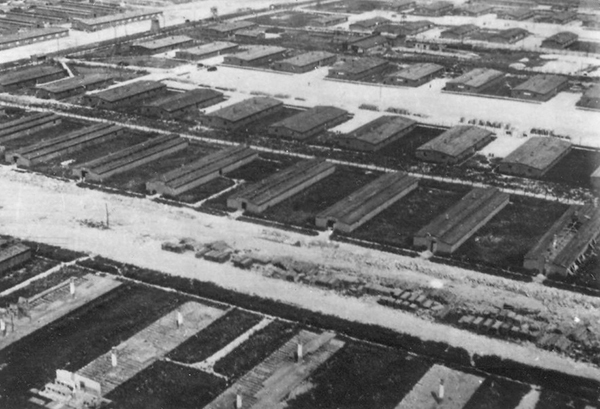 Unlike other similar camps in Poland, Majdanek was not located in a remote rural location away from population centers, but within the boundaries of Lublin, a major city. 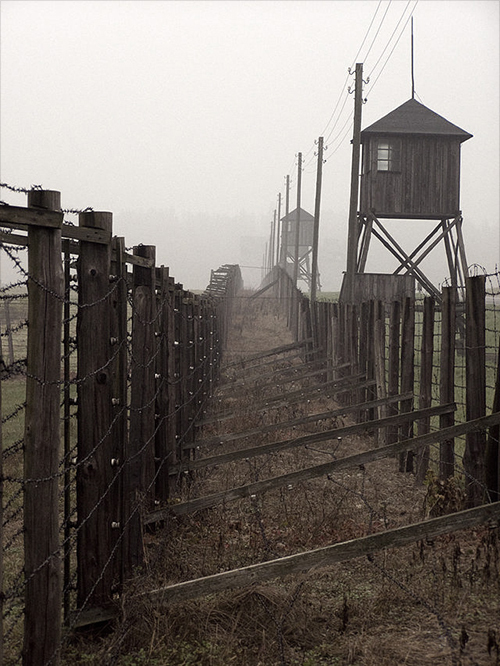 This proximity led the camp to be named "Majdanek" ("little Majdan") by local people in 1941 because it was adjacent to the city's district of Majdan Tatarski ("Tatar Maidan") in Lublin. Due to the camp's proximity to Lublin, prisoners were able to communicate with the outside world through letters smuggled out by civilian workers who entered the camp. Many of these surviving letters have been donated by their recipients to the Majdanek State Museum. The Majdanek State Museum, a memorial museum and education center, was actually founded in the fall of 1944 on the grounds of the camp. It was the first museum of its kind in the world and is devoted entirely to the memory of atrocities committed in the network of slave-labor camps and subcamps of Lublin. From February 1943 onwards the Germans allowed the Polish Red Cross and Central Welfare Council to bring in food for the prisoners to the camp. Prisoners could also receive food packages via the Polish Red Cross addressed to them by name. The Majdanek Museum archives document 10,300 prisoners that received such packages. ETO - UK: Day 42 of 86 of the V-1 "Buzz Bomb" offensive on Britain. ETO - France: Day 49 of 49 of Operation OVERLORD, the Allied invasion of Normandy, France, known forever simply as D-Day. D-Day+48: Churchill gives Londoners a treat, ordering barrage balloons over London lowered so the entire US 8th and 9th Air Forces can parade at low level overhead on their way to targets in France, as part of Operation COBRA. The roar of engines overhead is deafening. The massive stream of heavy bombers is so long it takes a full hour for them to pass. Russian Front - Center: Day 7 of 16 of the Battle of Lublin, Poland. More Soviet troops pour into Lublin, causing the Germans to begin evacuating the city. ETO - France: Day 49 of 62 of the Battle of Caen. ETO - Germany: The RAF night bombs Kiel. The damage is extensive, causing the city to have no running water for 3 days. The trains and buses will be out of commission for 8 days and gas service will be out for nearly 3 weeks. Russian Front - Finland: Day 34 of 50 of the Battle of Karelia. Soviet troops continue their offensive against the Finns in eastern Karelia between Lake Ladoga and Lake Onega in northern Russia. Russian Front - North: Day 174 of 191 of the Battle of the Narva Isthmus, Estonia. Both German and Soviet troops remain locked in their defensive positions. Russian Front - Center: Day 20 of 27 of the Battle of Siauliai, Lithuania. Russian Front - Center: Day 20 of 23 of the Battle of Belostock, Poland. Russian Front - Center: Day 12 of 15 of the Battle of Lvov, Poland. The Soviets cross the River San, northwest of Lvov, causing the Germans to start evacuating Lvov. Russian Front - Center: Day 12 of 15 of the Battle of Stanislav, Poland. MTO - France: US 15th Air Force bomb targets in southern France. CBI - Burma: Day 142 of 166 of the UK's Operation THURSDAY. US 10th Air Force provides air support. CBI - Burma: Day 137 of 147 of the Battle of Myitkyina. US 10th Air Force provides air support. CBI - Burma: Day 115 of 302 of the Chinese Salween Offensive. US 14th Air Force provides air support. 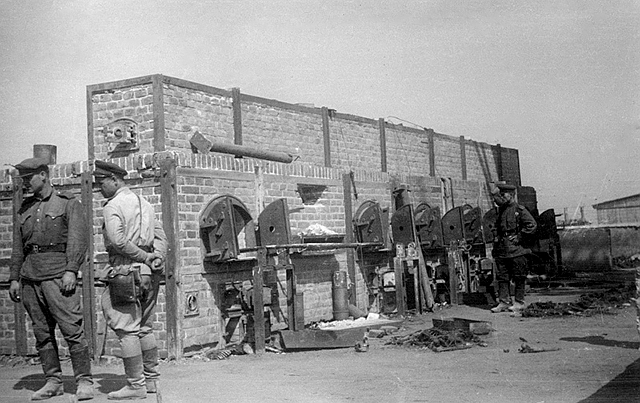 CBI - China: Day 2,575 of 2,987 of the 2nd Sino-Japanese War. Day 99 of 259 of Japan's Operation ICHI-GO. Day 33 of 48 of the Battle of Hengyang. US 14th Air Force provides air support. PTO - Dutch New Guinea: Day 23 of 61 of the Battle of Noemfoor. Although the island has been declared secured, bitter fighting from Japanese continues. PTO - Mariana Islands: Day 1 of 9 of the Battle of Tinian. The US 4th Marine Division lands 15,000 men on Tinian. 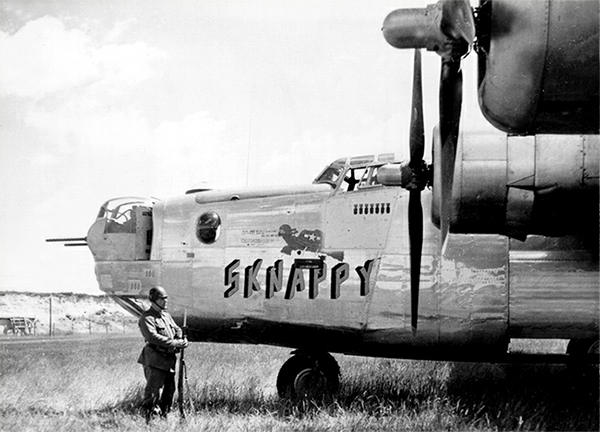 US 7th Air Force provides air support. PTO - Mariana Islands: Day 4 of 21 of the 2nd Battle of Guam. US 7th Air Force provides air support. PTO - New Guinea: Day 59 of 83 of the Battle of Biak. There are still 3,000 Japanese soldiers on the island who won't give up. PTO - New Guinea: Day 223 of 597 of the Battle of New Britain. US 13th Air Force provides air support. PTO - New Guinea: Day 94 of 481 of the Battle of Western New Guinea. 5th Air Force provides air support. PTO - New Guinea: Day 41 of 80 of the Battle of Lone Tree Hill. PTO - New Guinea: Day 15 of 47 of the Battle of Driniumor River, a failed Japanese offense on US troops near Aitape. PTO - Solomon Islands: Day 267 of 295 of the Battle of the Bougainville Islands. US 13th Air Force provides air support. Germany: Truman informs Stalin that the US has successfully constructed an atomic bomb. Stalin does not act surprised because he already knows about it through his spies in the US. CBI: The USS BLENNY sinks a small Japanese ship in the South China Sea off Malaya. The USS BUGARA sinks 4 vessels in the Gulf of Siam and South China Sea. The USS CHUB sinks a Japanese tug in the Java Sea. CBI: US 14th Air Force attacks a large assortment of targets in China and French Indochina. CBI - China: Day 2,940 of 2,987 of the 2nd Sino-Japanese War. PTO - Borneo: Day 45 of 67 of the Battle of North Borneo. US 5th and 13th Air Forces provide air support. PTO - Japan: British carrier planes attack the Japanese home islands, damaging the Japanese carrier KAIKO. US carrier planes also hit Japanese islands, sinking 3 Japanese warships and damaging 9 others. PTO - Japan: US 20th Air Force B-29s bomb industrial targets at Osaka, Takarazuka, Kuwana, Eitoku and Handa, while others fire bomb the urban areas of Tsu. PTO - New Guinea: Day 575 of 597 of the Battle of New Britain. US 10th Air Force provides air support. PTO - New Guinea: Day 459 of 481 of the Battle of Western New Guinea. US 10th Air Force provides air support. PTO - Philippines: Day 277 of 299 of the 2nd Battle of the Philippines, aka the Liberation of the Philippines or the Philippines Campaign. PTO - Philippines: Day 222 of 244 of the Battle of Luzon. The battle is said to over but hold-outs will continue fighting until the end of the war. PTO - Philippines: Day 137 of 159 of the Battle of Mindanao Island. The battle is said to over but hold-outs will continue fighting until the end of the war. PTO - Philippines: Day 129 of 135 of the Battle of the Visayas region. The battle is said to over but hold-outs will continue fighting for several weeks. When the Jumpin' Jimminy, a Flying Fortress shot up in a raid over Nazi Germany, crash lands in neutral Sweden in the autumn of 1944, its crew couldn't dream they would wind up playing a World Series. Especially a Series against tough enemy Japanese sailors from a submarine that went aground on Sweden's rocky coast.